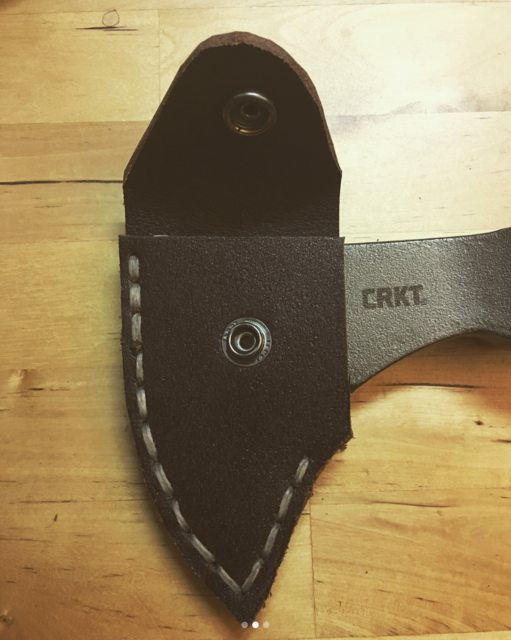 I made a leather axe cover for my CRKT Chogan tomahawk. I'm a beginner and have really basic tools, lots of jerry-rigging going on over here! lol It's unrefined but it'll get the job done. 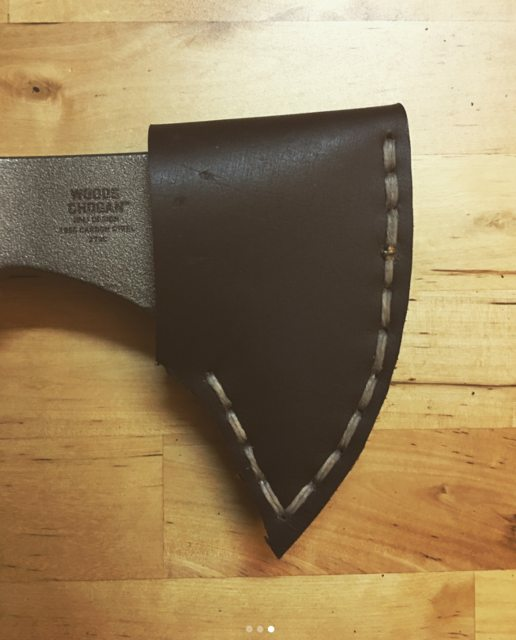 I plan on investing on more tools and really get into leathercraft, its so relaxing and fun. If you guys have any leather tools you're not using, I'd like to see if we can do some trades? My next project will be a leather dangler for the GB 6HM. 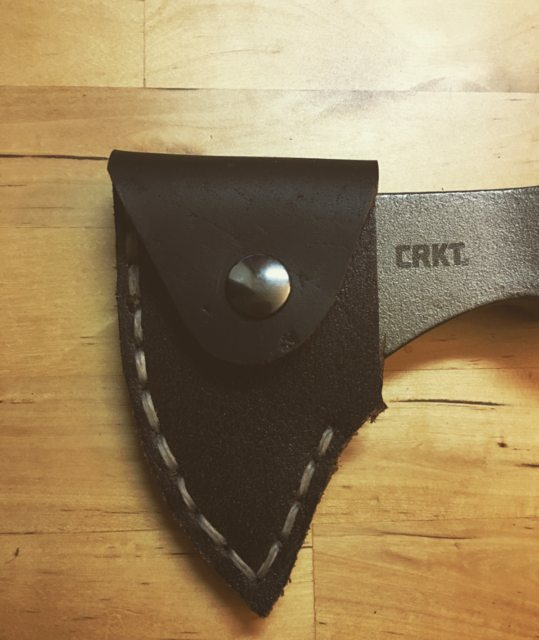 Re: I made a leather axe cover for my CRKT Chogan tomahawk. Looks perfect to me. Nice hawk too. Even with a lack of tools, you've created a very nice piece. Too kind! thanks brother! I appreciate that! I must have missed this earlier. VERY nice work, TWW! Thank you for all the positive vibes! It's very encouraging. I just traded for some more leathercraft tools so I'm really excited! Thank you Wolfy, you're too kind! Thank you Sarge, I appreciate that!